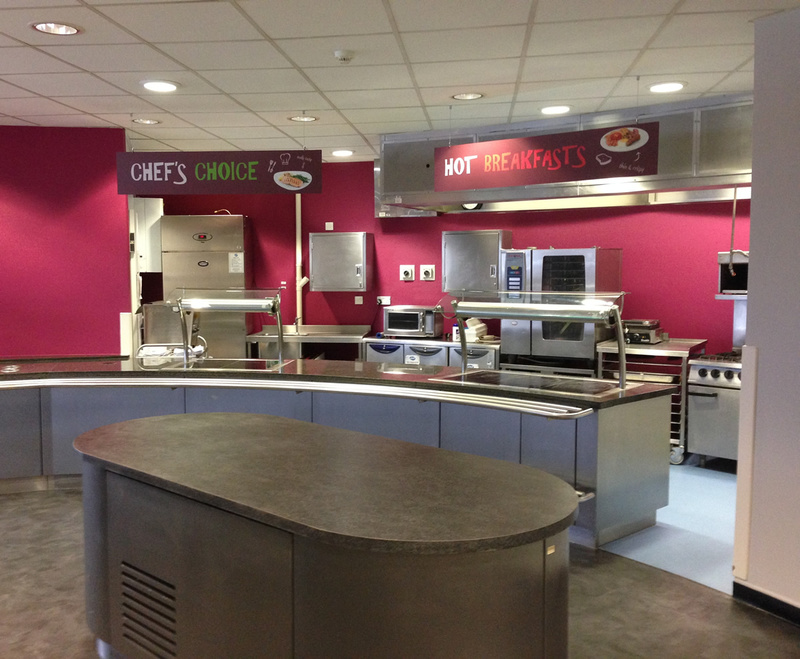 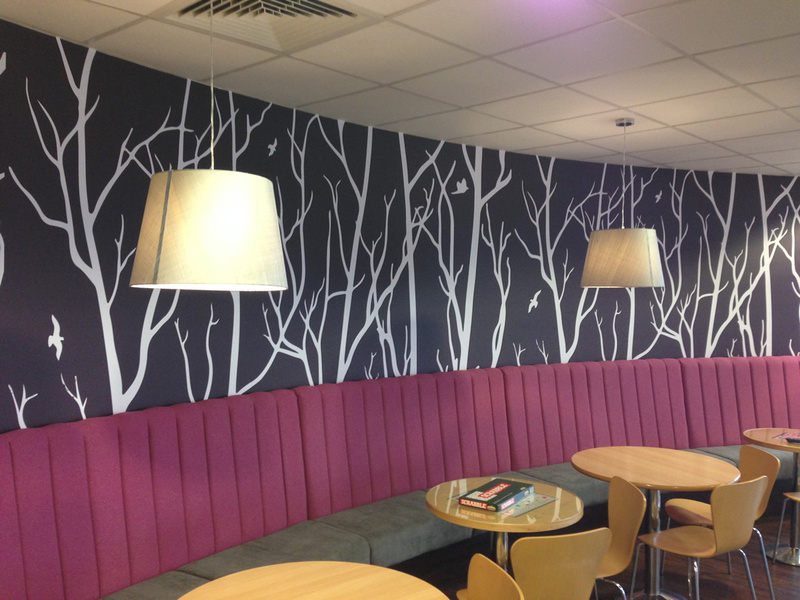 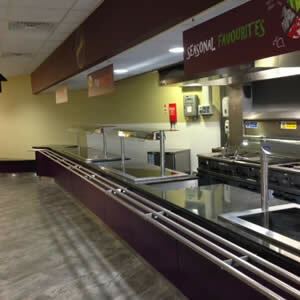 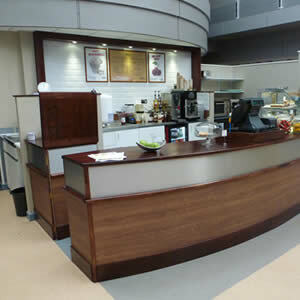 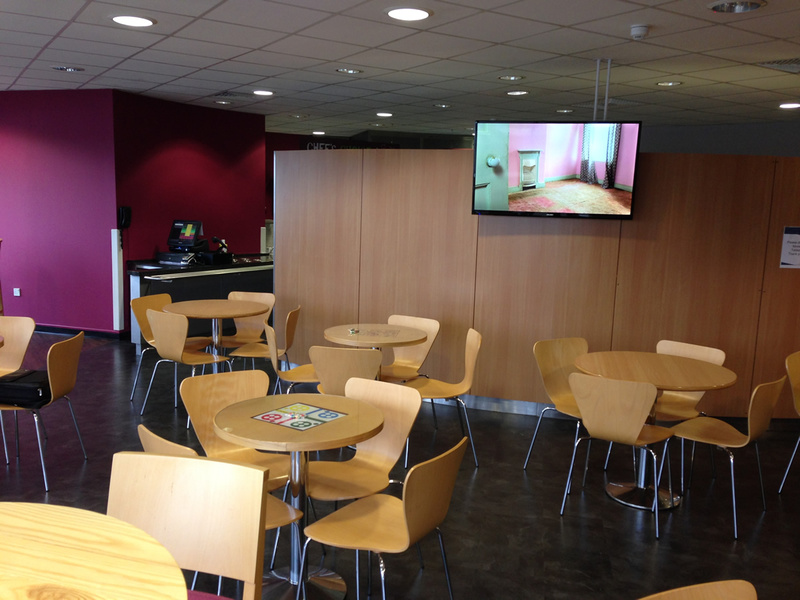 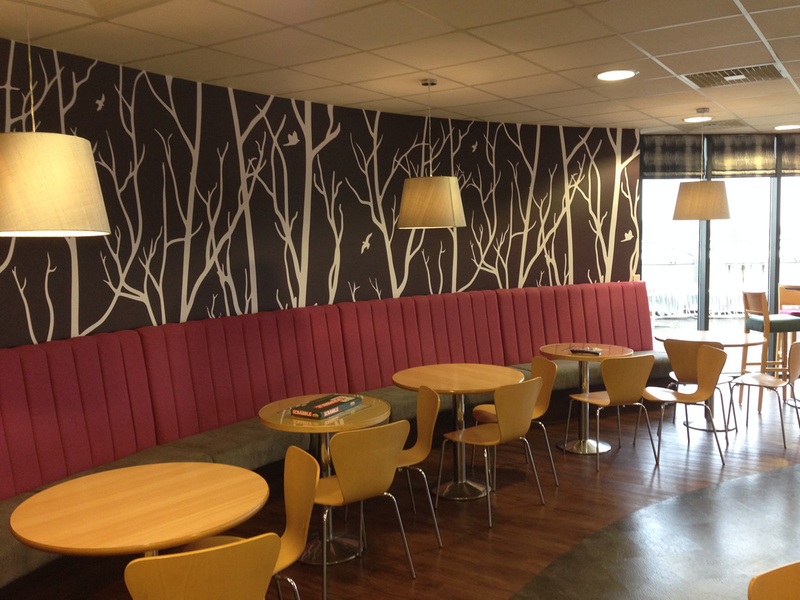 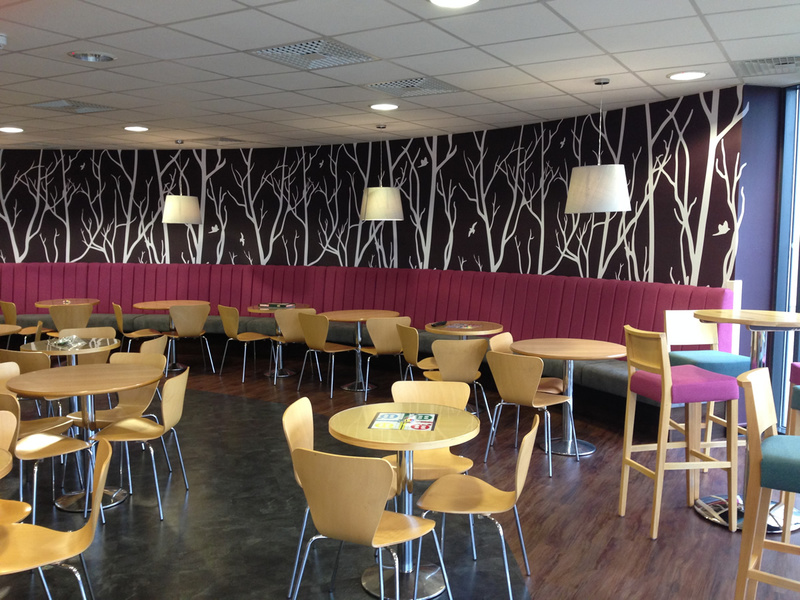 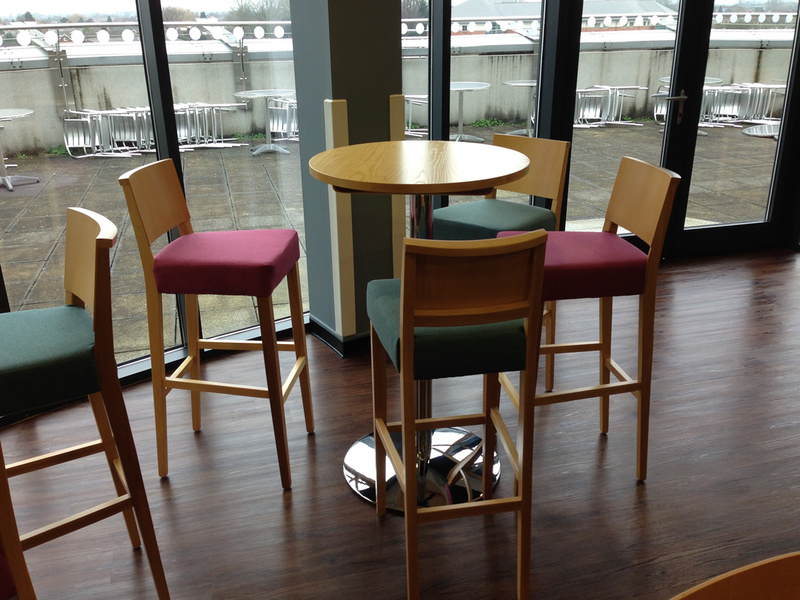 The staff restaurant at Walsgrave hospital was a minor cosmetic refurbishment briefed by the client to enhance the atmosphere for the staff. 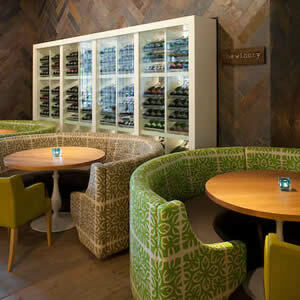 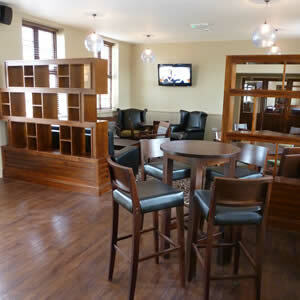 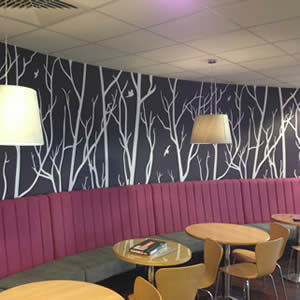 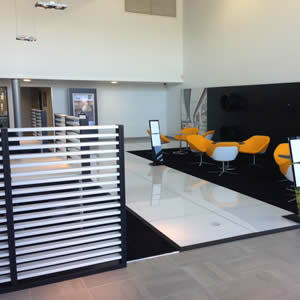 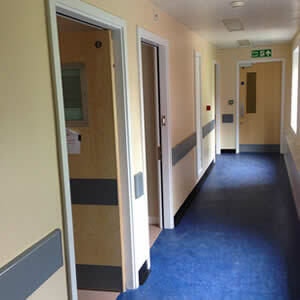 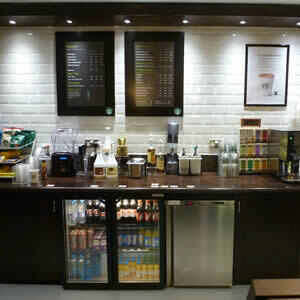 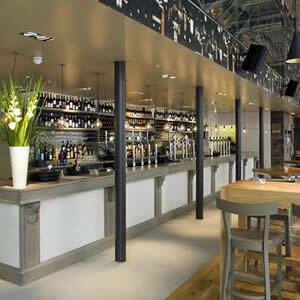 The original design used neutral colours to the walls and floors following a utilitarian theme. 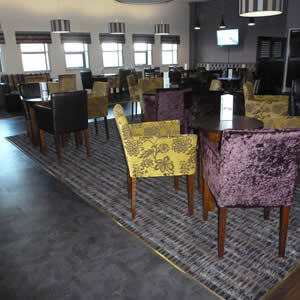 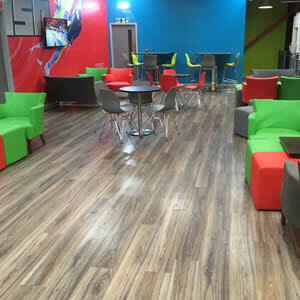 Our new design included full internal decoration feature wallpaper to the large curved wall, fixed seating, new high tables, games tables, new floor coverings and a full signage package. 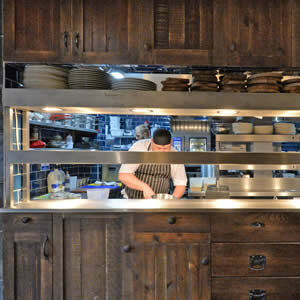 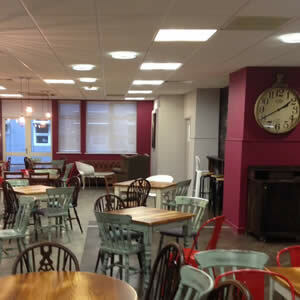 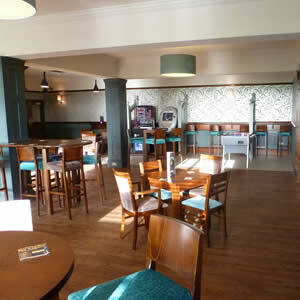 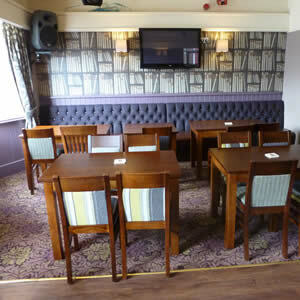 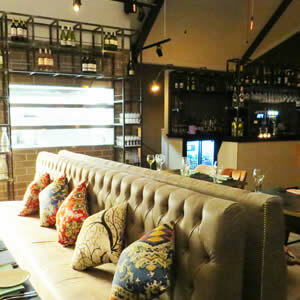 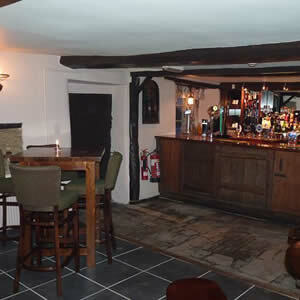 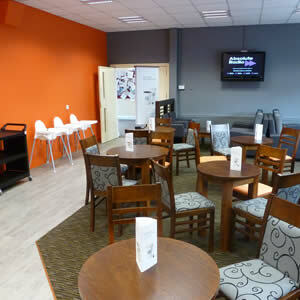 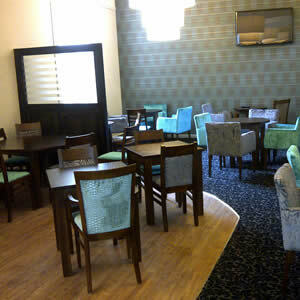 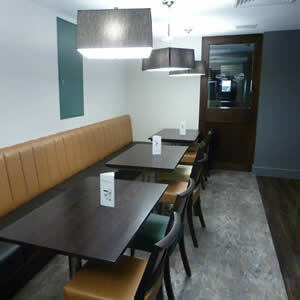 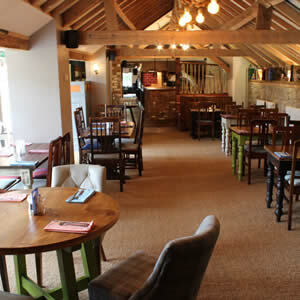 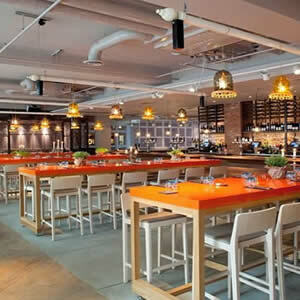 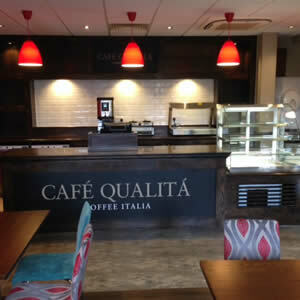 The refurbishment added character and atmosphere to the restaurant creating a space in which the staff would like to spend their lunch break and use as a meeting area. 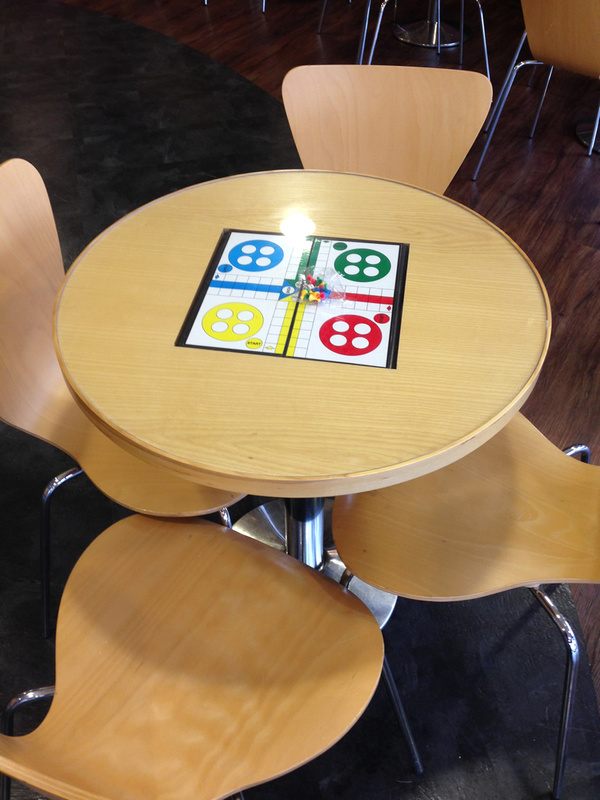 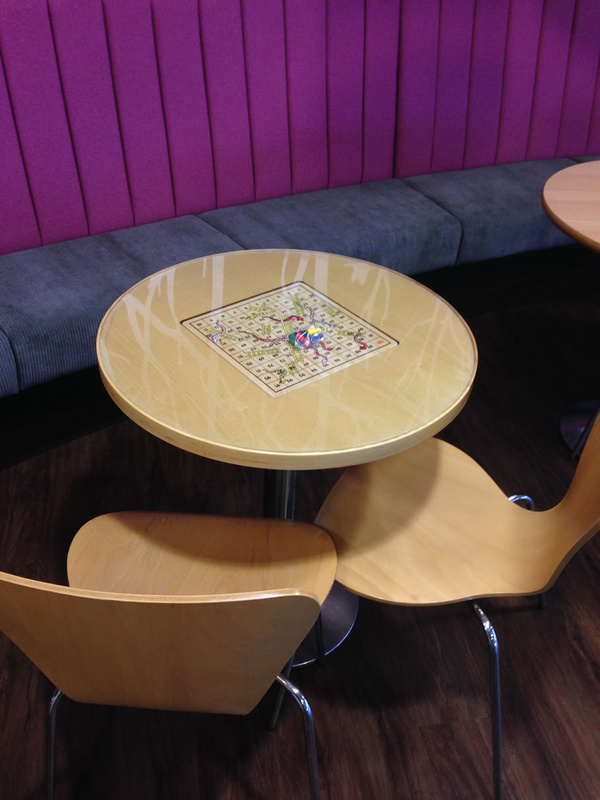 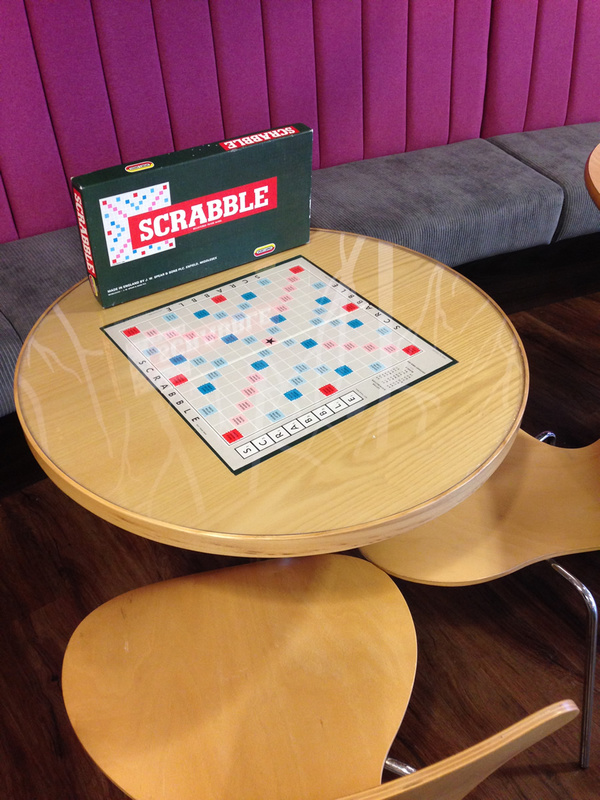 One of the features of this development included supplying tables with board games inset into the tops as a talking point for the staff.